Oh Navy…you’re clean, classy and have incredible coverage. 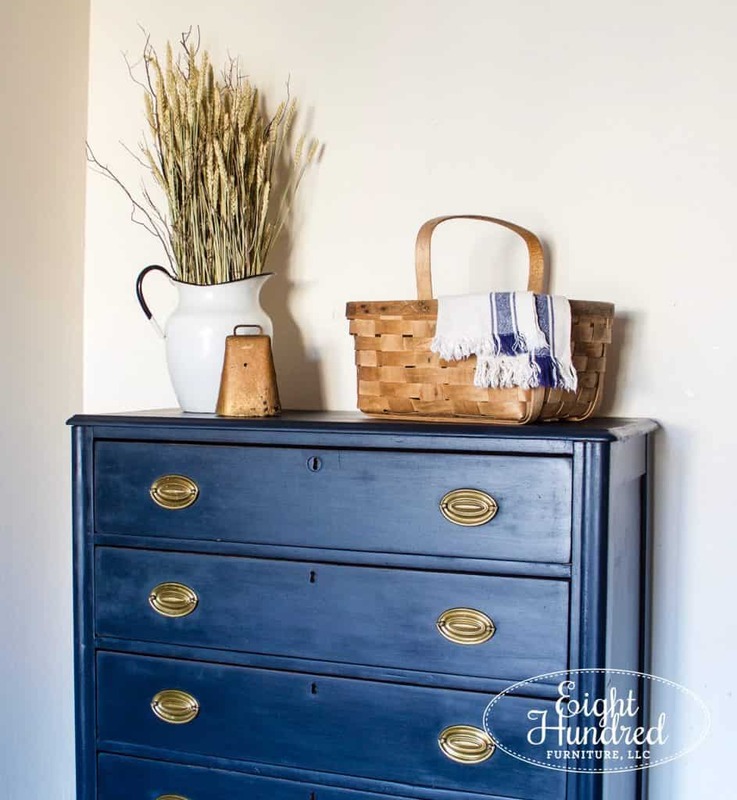 I stinkin’ love painting with navy and it’s my go-to color choice when I’m dealing with a piece of furniture that isn’t speaking to me. 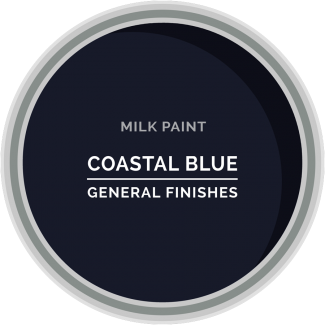 There are SO many gorgeous navy colors on the paint market for you to choose from, but my favorite two to use are Artissimo by Miss Mustard Seed’s Milk Paintand Coastal Blue by General Finishes Milk Paint. 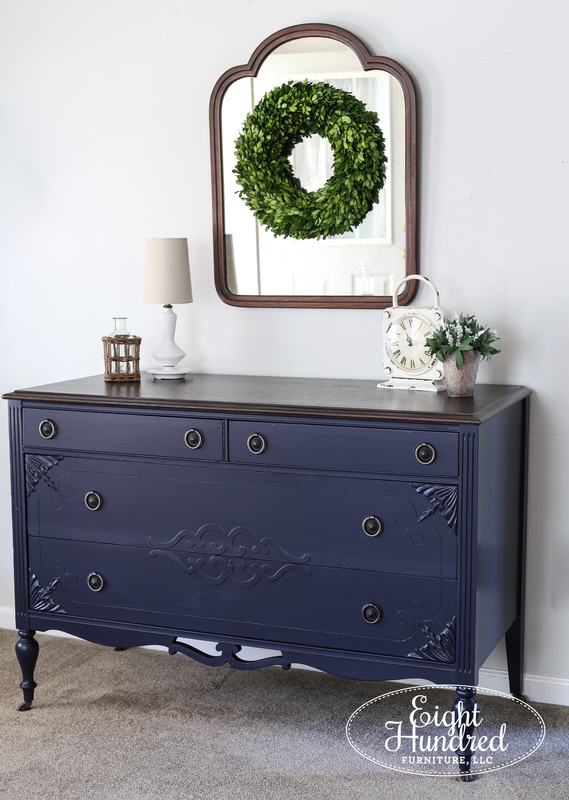 So today, I’m rounding up all of my favorite projects I’ve painted in navy. 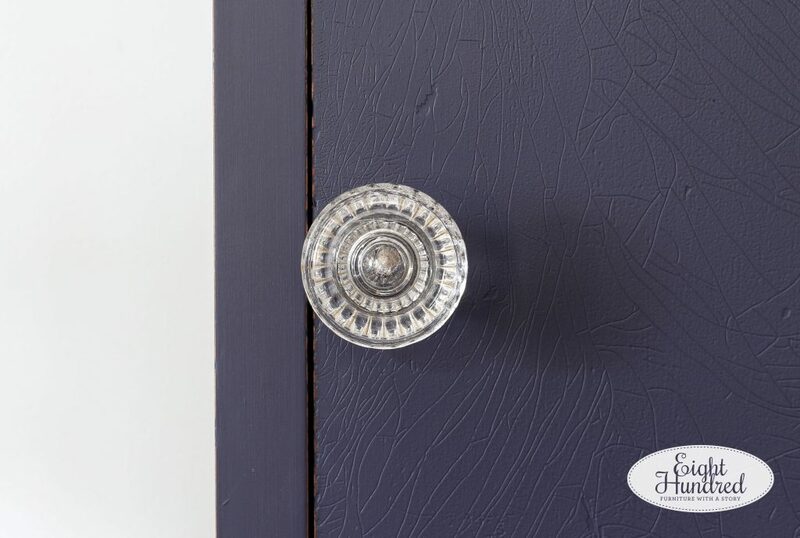 I’m hoping that my collage of goodness will inspire you to use this deep and rich blue on your next paint project! 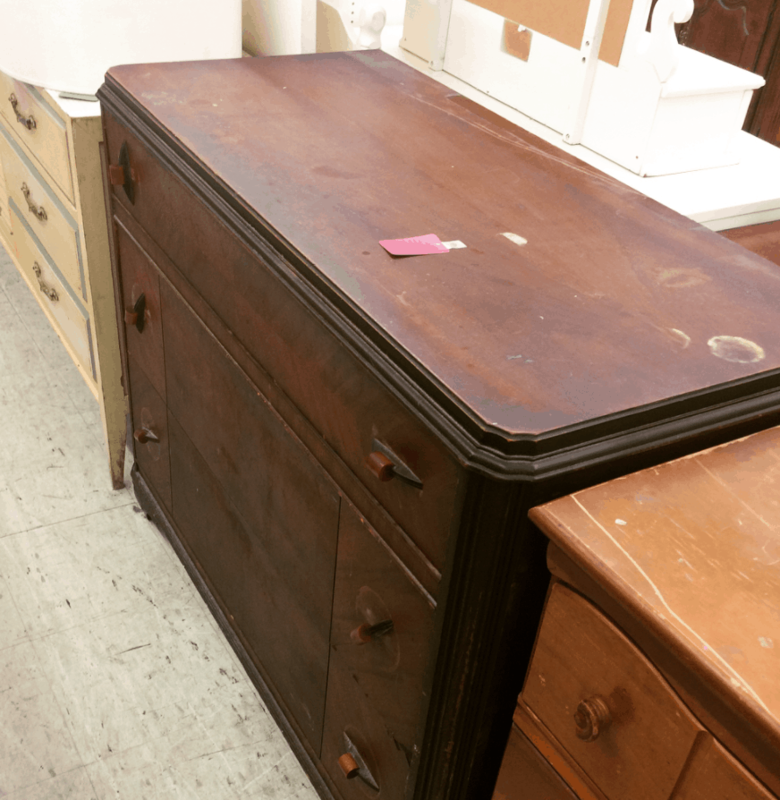 So let’s start with this rather boxy dresser that I picked up from my local Habitat for Humanity ReStore. It had solid construction and a great shape! 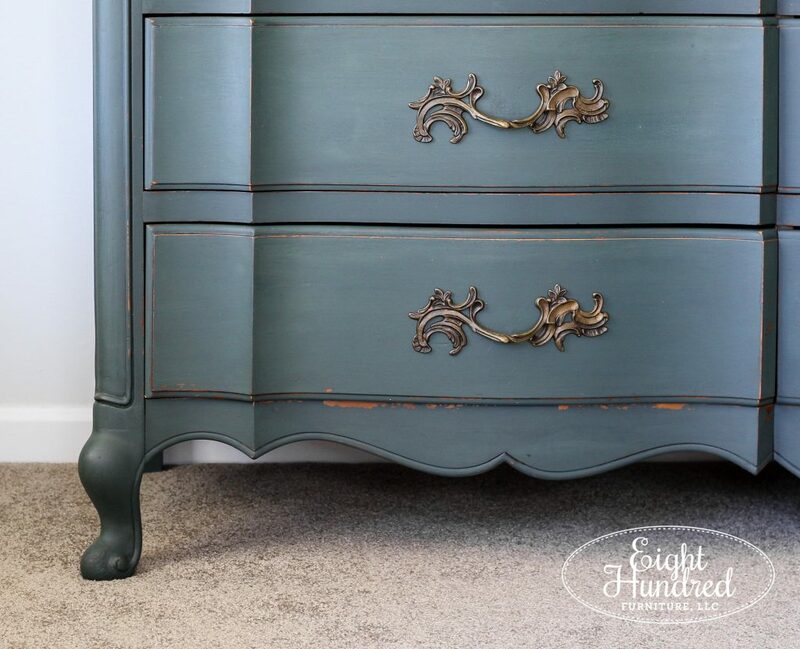 This guy wore Artissimo like a champ and I enhanced the depth of color with Hemp Oil by MMS Milk Paint. 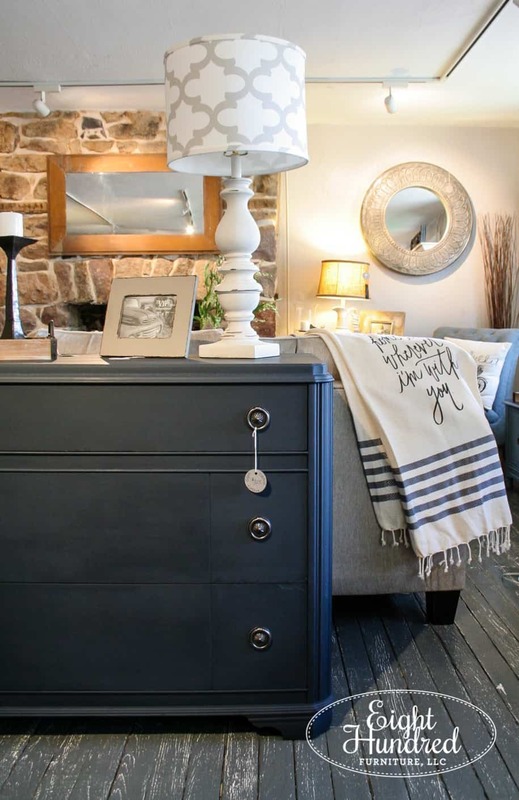 It had a gatored original finish in some spots, which shone through beautifully. I also installed new ring pulls on it because the originals had orange bakelite on the front which I truly loathe. Here’s how it started. Pretty, huh? 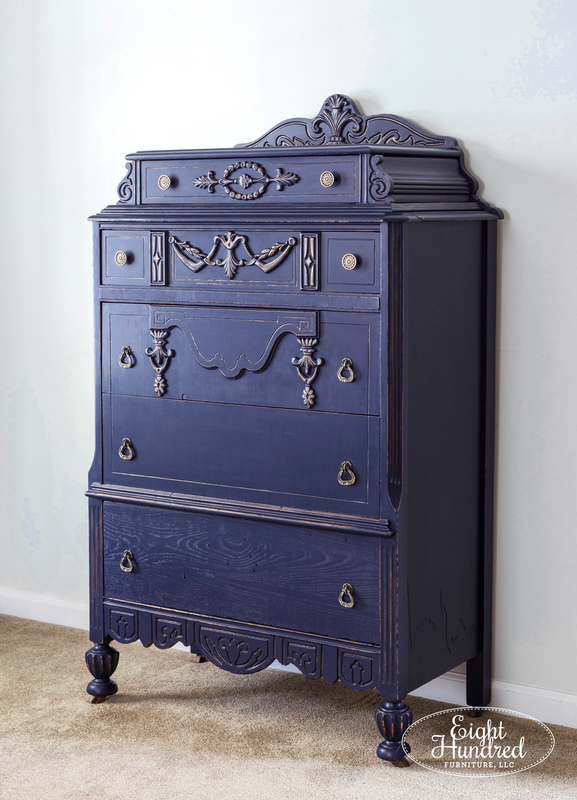 I loved this dresser so much. It was so darn cute and simple. I got this back in the day when I didn’t know much about lighting and color correcting in Lightroom (hee hee), but boy did I have a fun time painting it! This is another Artissimo/Hemp Oil combination. 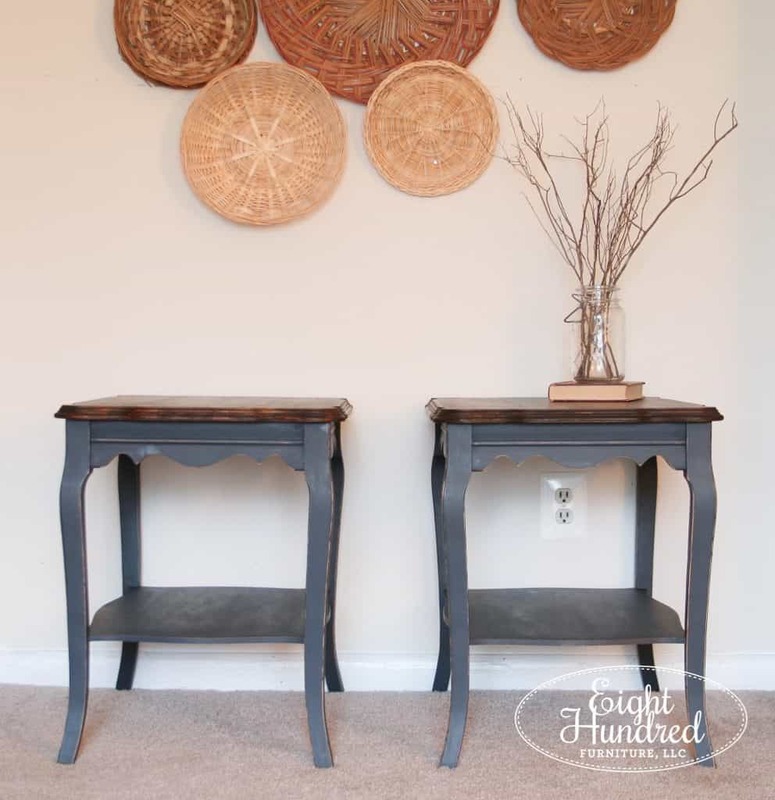 Speaking of projects I painted in my old apartment, here are a pair of Artissimo end tables that turned out beautifully! I loved the lines on these little guys. The scallops on the bottom of the skirt/apron are just the sweetest! 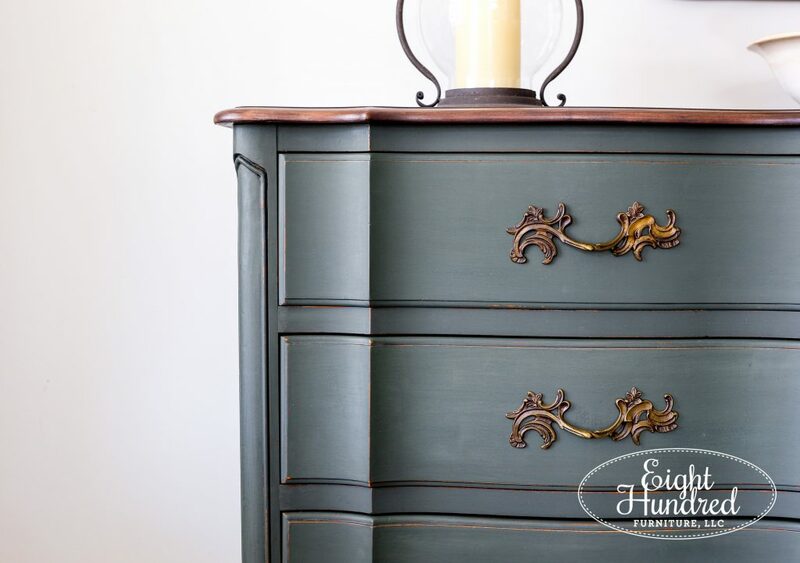 Now even though this next piece is technically green, there is actually Artissimo in the paint color! 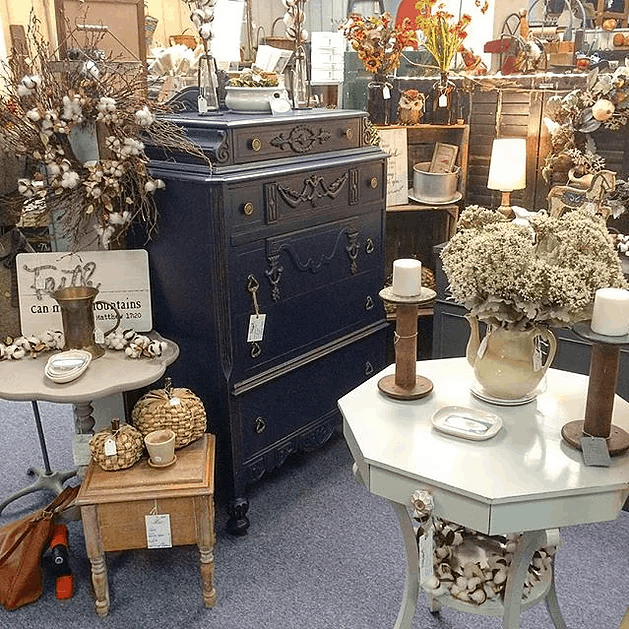 This French provincial dresser/buffet was an absolutely stunning piece of furniture. It was incredibly well built and had the prettiest darn shape. 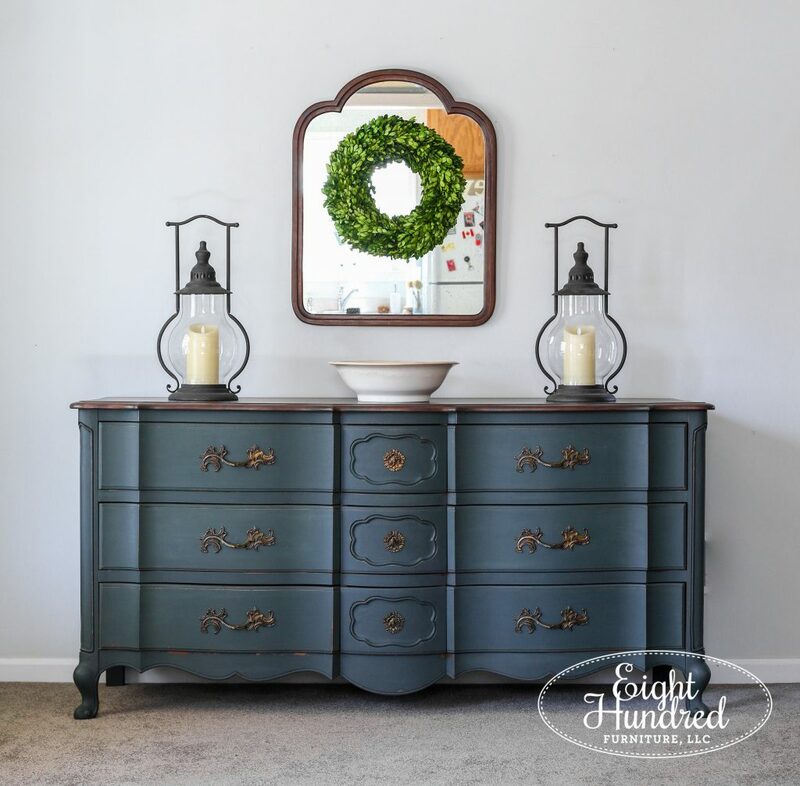 I wanted a stately color to match its classically beautiful shape, so I mixed up 3 parts Boxwood by MMS Milk Paint with 2 parts Artissimo by MMS Milk Paint. 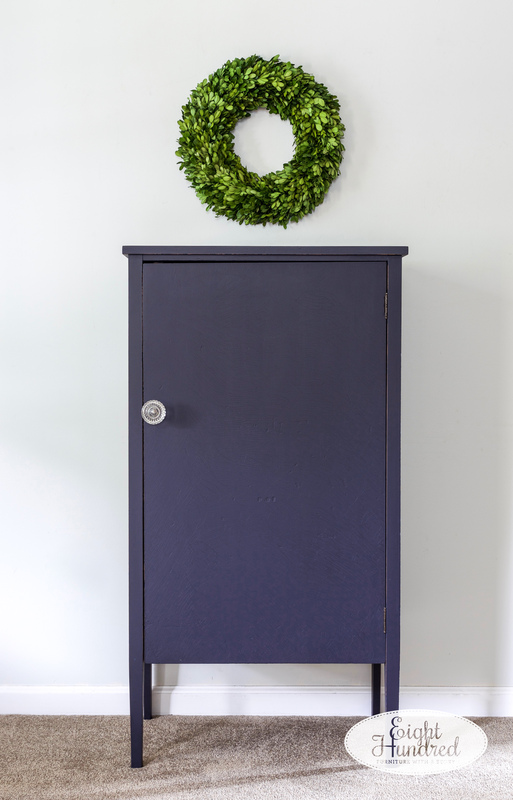 This combination of deep grassy green and navy creates the most stunning jewel tone green. It looked absolutely perfect up against the original brass handles. 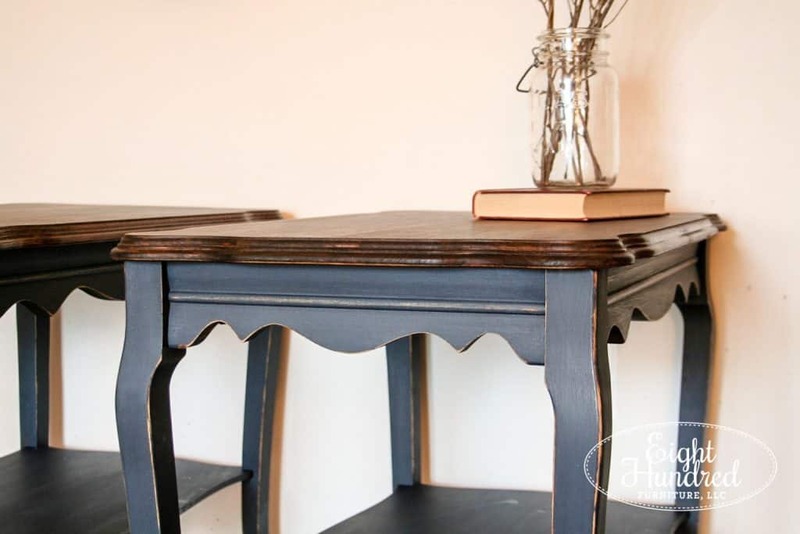 And it paired well with the warmth of the wood on the refinished top. Goodness is that grain pretty! 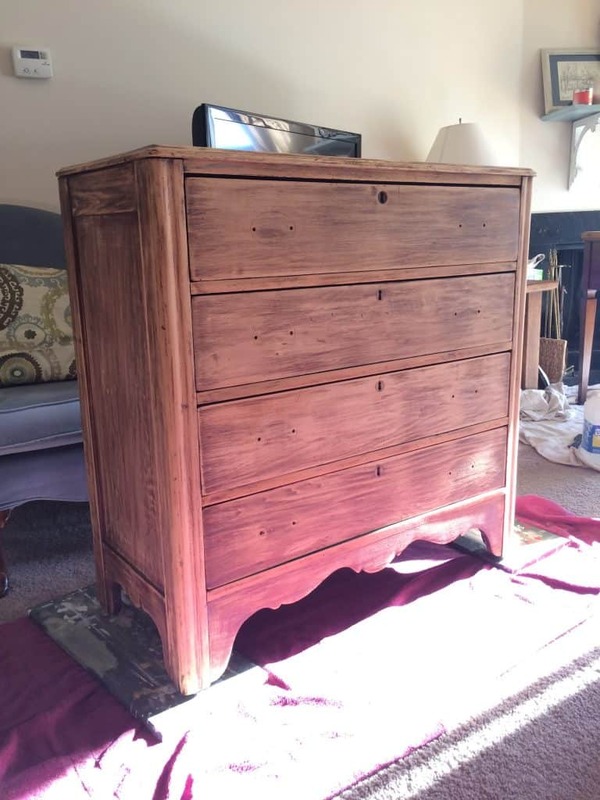 I stripped and sanded this top down and used General Finishes Java Gel Stain and High Performance Topcoat in Satin to get this wood to sing again. So this was actually a removable top that came with a table that I purchased. 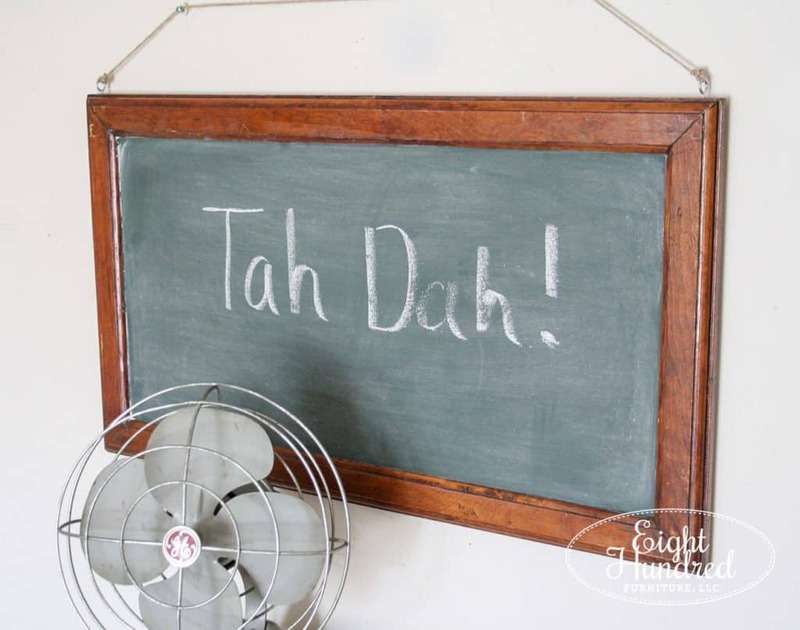 I thought it would look so cute as a window and then I got the idea to make it into a chalkboard. 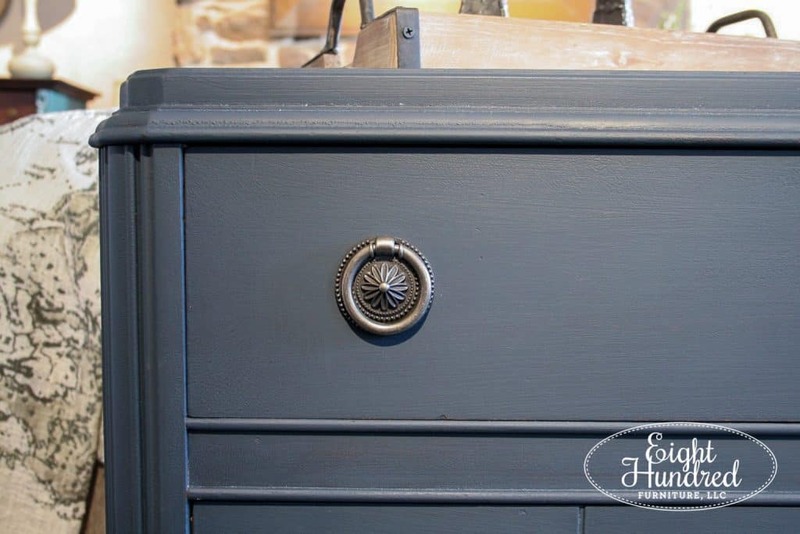 I mixed up the same ratio of paint as the recipe from my French provincial dresser above but this time I added Bonding Agent into my milk paint to make sure it adhered to the glass. 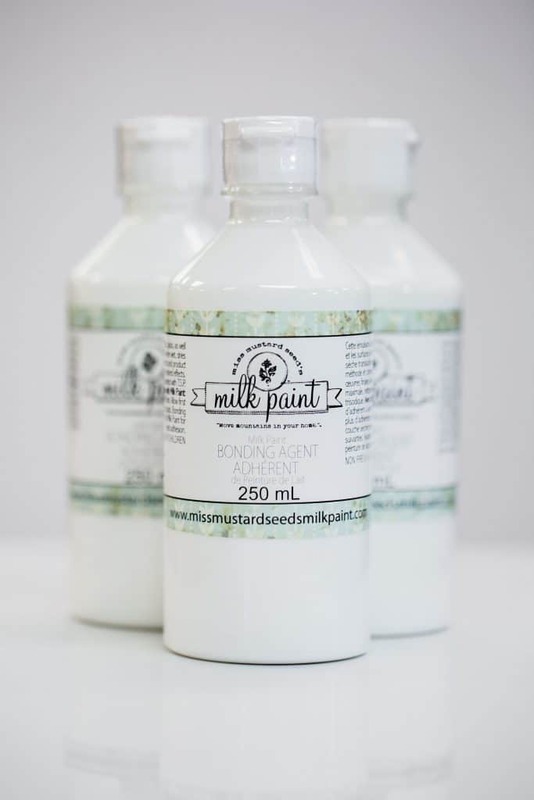 Bonding Agent is a milky white liquid additive that you can squirt into your mixed MMS Milk Paint to improve adhesion. 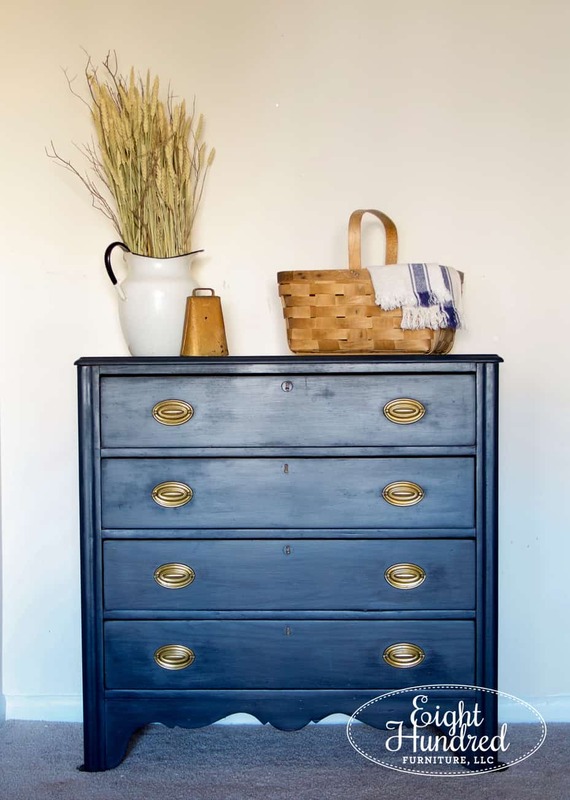 I add a few squirts, stir it up, and paint when I want to control the chippiness of my milk paint or get it to stick to super slick surfaces, like glass. 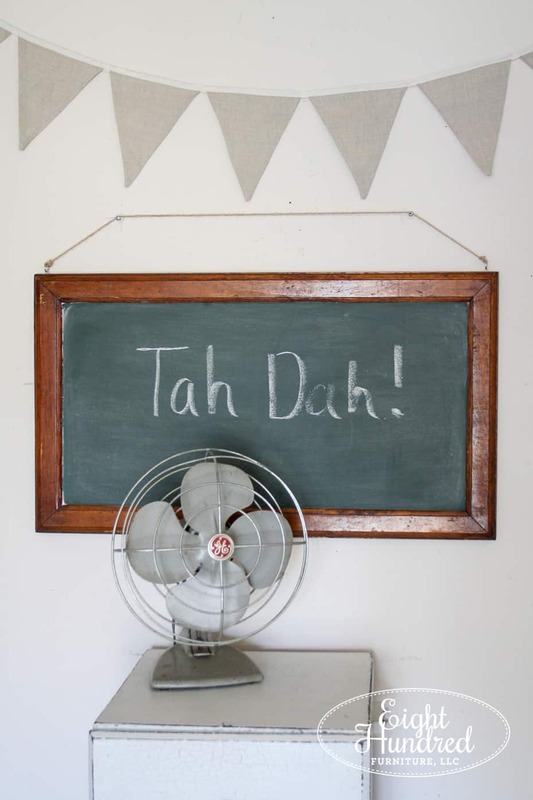 Once your milk paint is on, let it dry and rub a piece of chalk across it to “season” the surface. 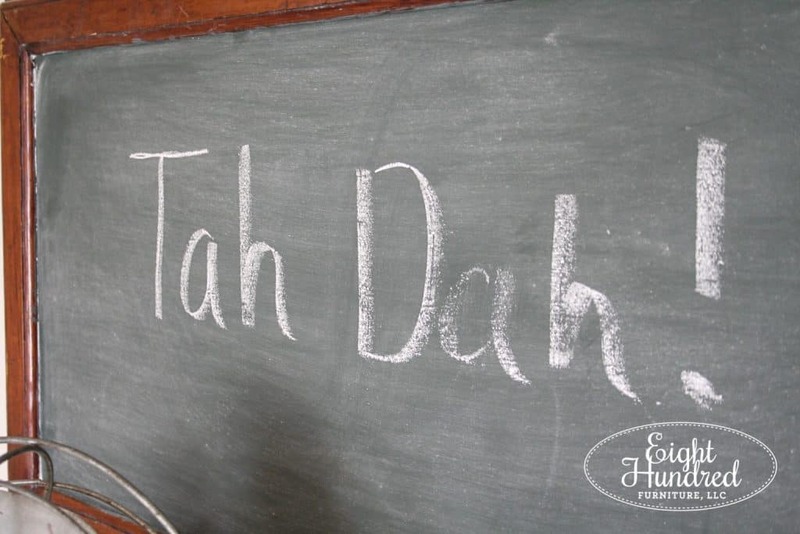 This will ensure that your writing doesn’t get burned into the surface and you still see it even after you’ve erased it. 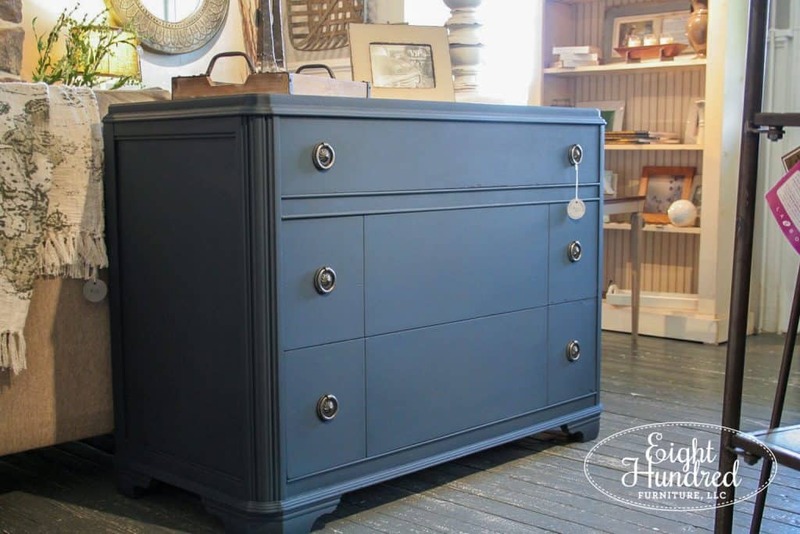 Up next, we have this Coastal Blue music cabinet. So there’s a really funny story behind this piece. I bought it from my friend who just bought her first home with her husband. It’s a fixer upper and she’s working to get it rehabbed one bit at a time. The house came with a bunch of furniture inside, so she called me to see if I wanted anything. This was one of the pieces that I took home. When I fixed it all up and shared my photos on social media, she loved it so much that she bought it back from me and we essentially called it even. How funny?! 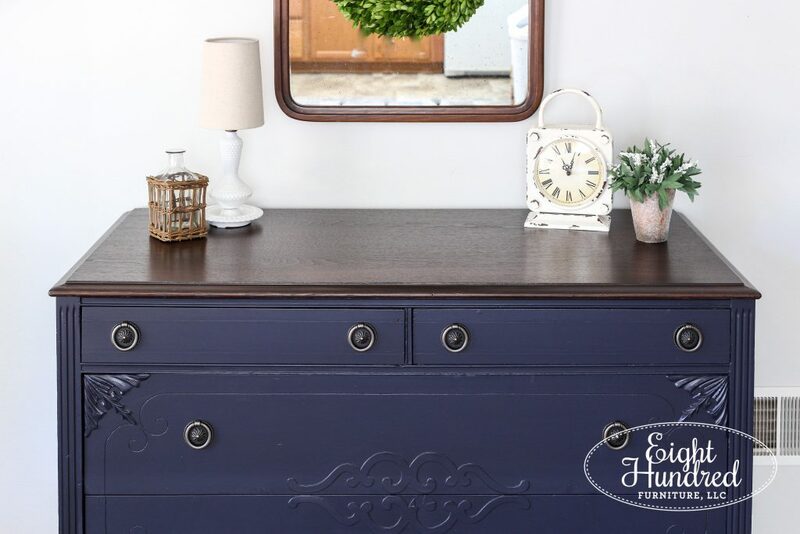 I loved how this shade of navy worked so well with the warm tones of the wood inside. 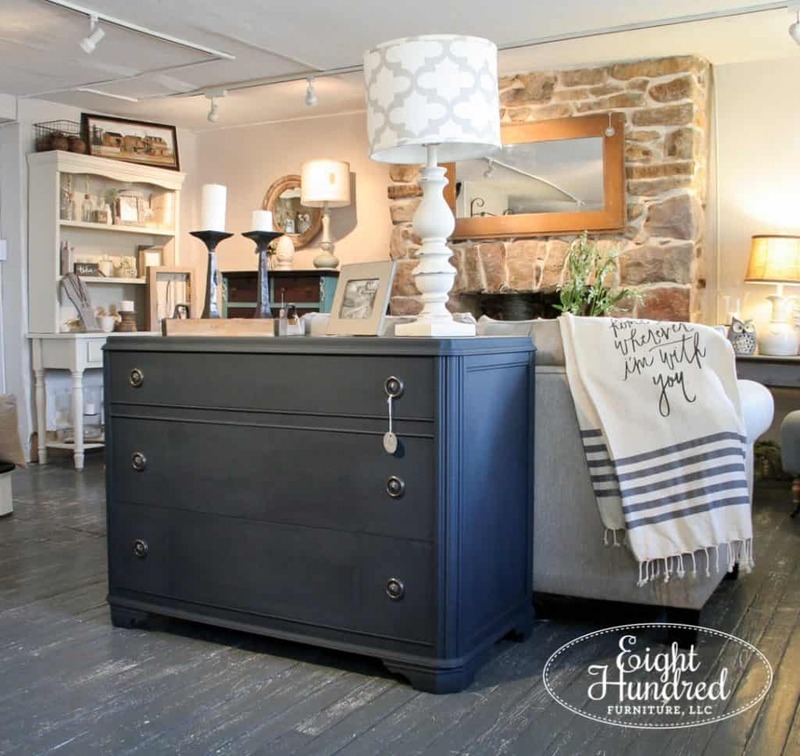 And similar to Miss Mustard Seed’s Milk Paint, General Finishes Milk Paint preserves the texture on your piece of furniture and doesn’t fill it in like some thicker paints on the market do. All of the pretty crackles on the front door were still there, preserving its history and giving it so much character. 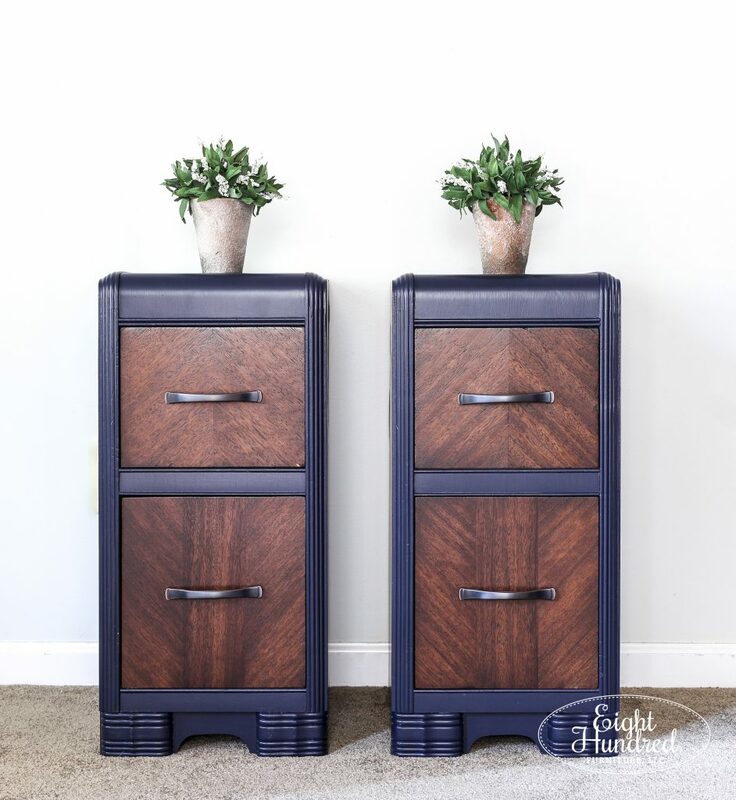 Speaking of pieces that I’ve painted for friends, these next two pieces were completed for another friend of mine who needed bedroom furniture for her town home. 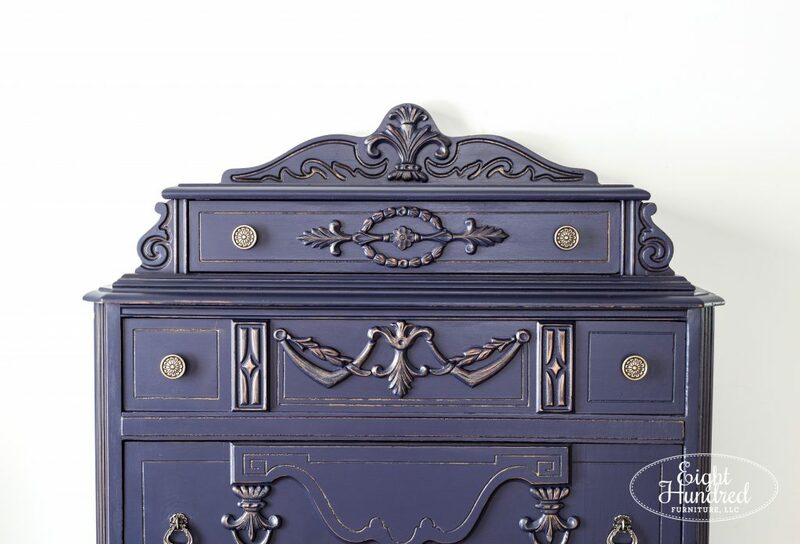 This dresser had the prettiest decorative accents in the corners. I’m talking about these little guys. Aren’t they so fun? 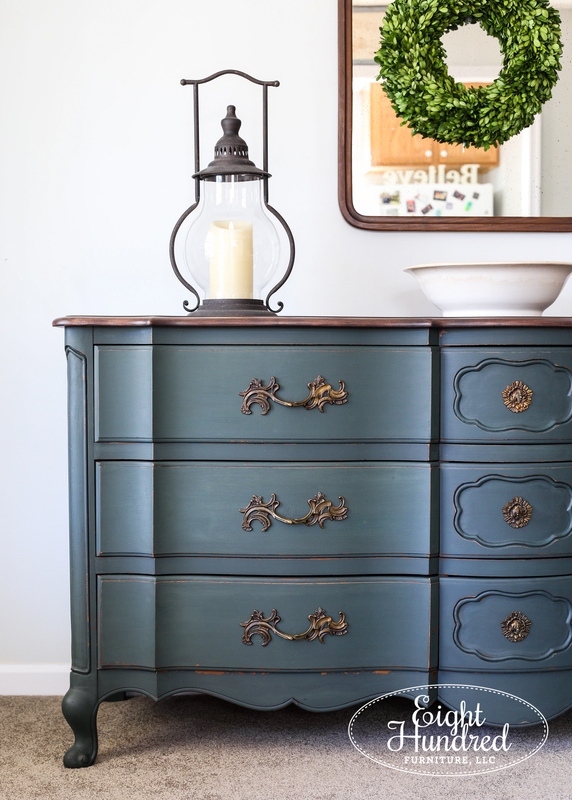 It was a perfect contender for a Coastal Blue makeover. 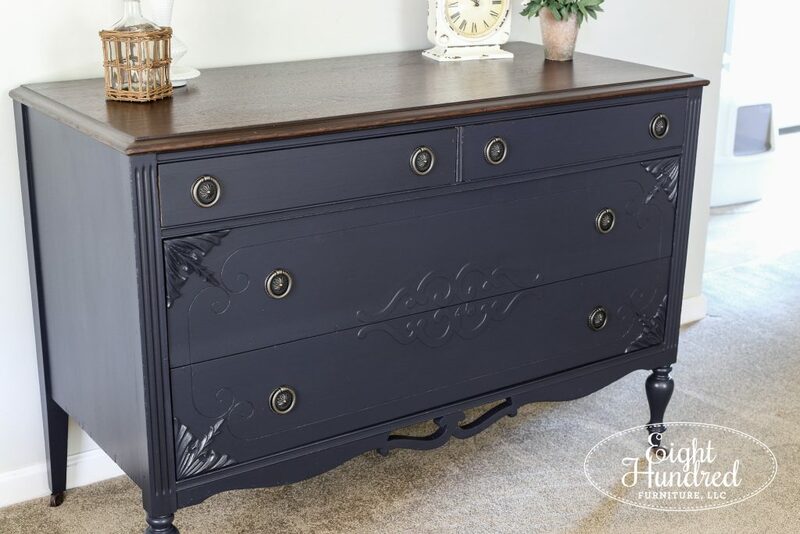 I refinished the top with my usual Java Gel Stain and High Performance Satin finish. 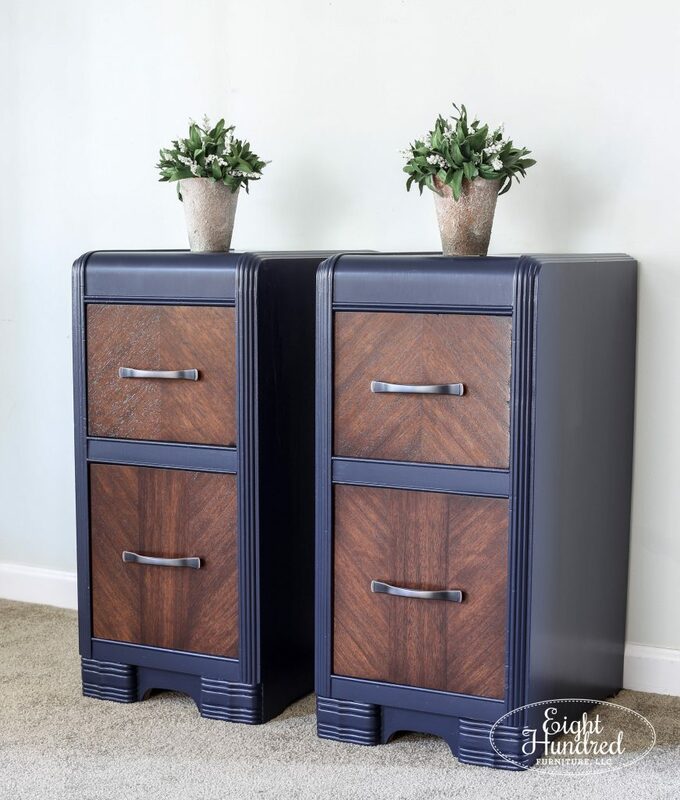 I paired this dresser with these two nightstands that were repurposed from a vintage vanity. 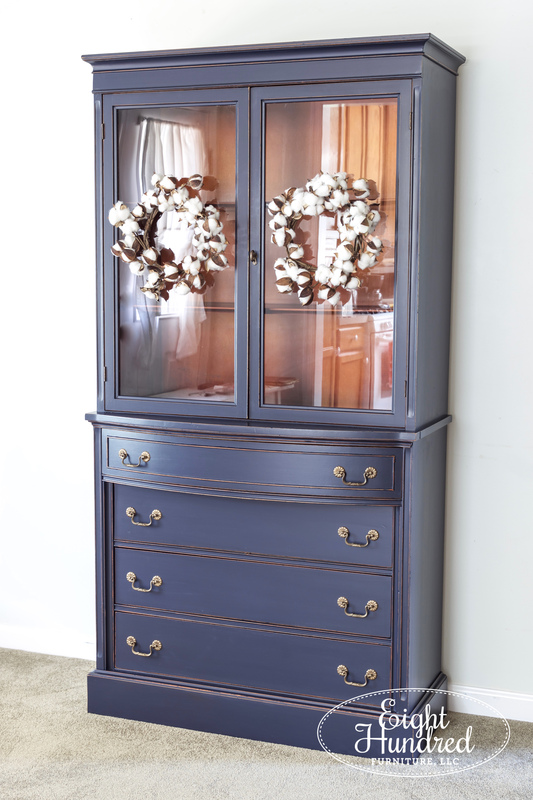 Even though they’re not the same style as the dresser, I used the same color combinations to help them tie together. 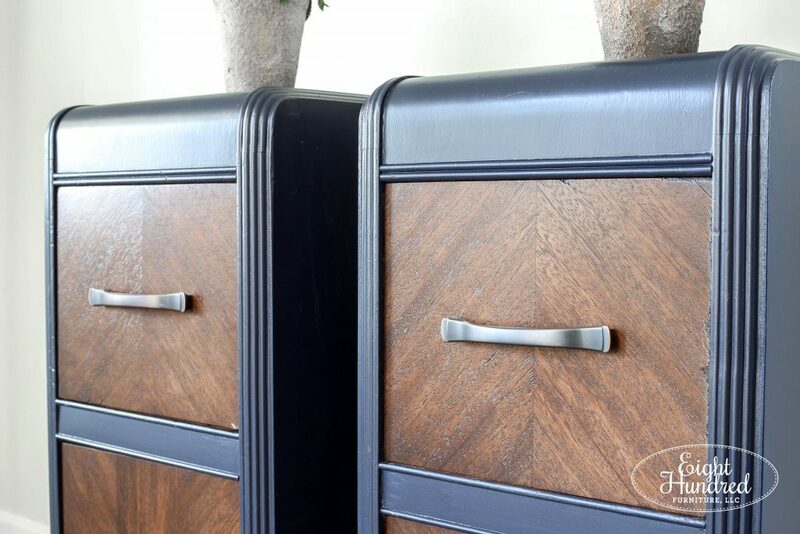 The wood grain on the fronts of these drawers killed me. I thought it was so gorgeous. I even liked the art deco style of the feet too! I’ve saved my two absolute favorite navy pieces for the end. 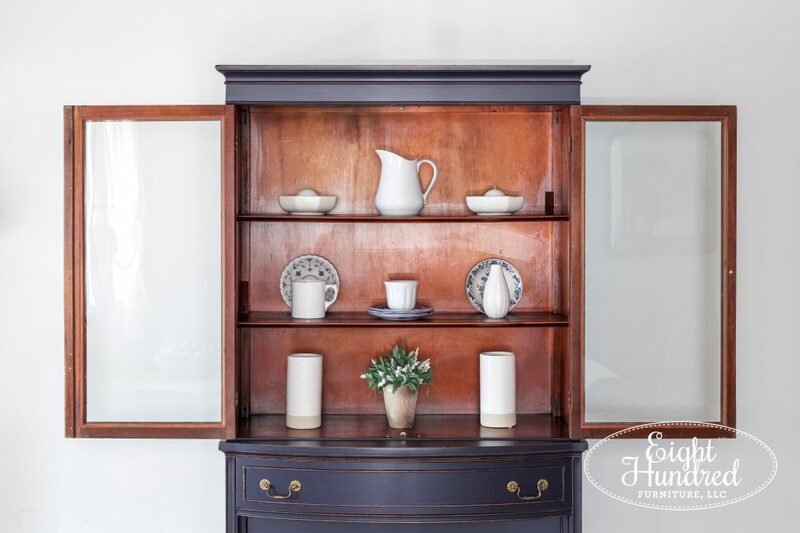 This hutch cabinetjust sold the other day at Homestead Studios to a delightful woman who bought it for her wedding anniversary. 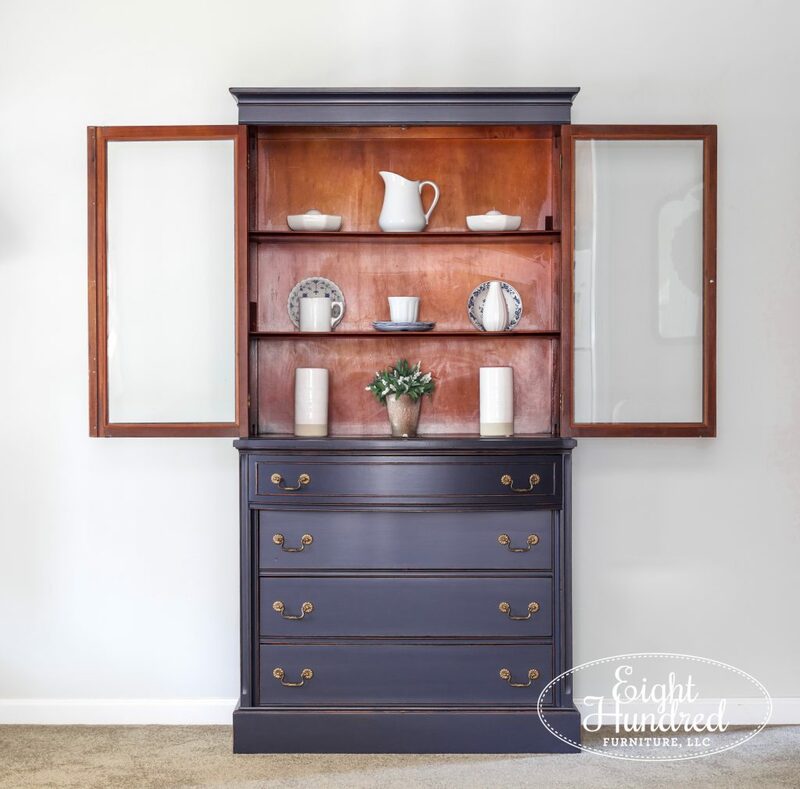 She said she always wanted a navy hutch, and now she has one! 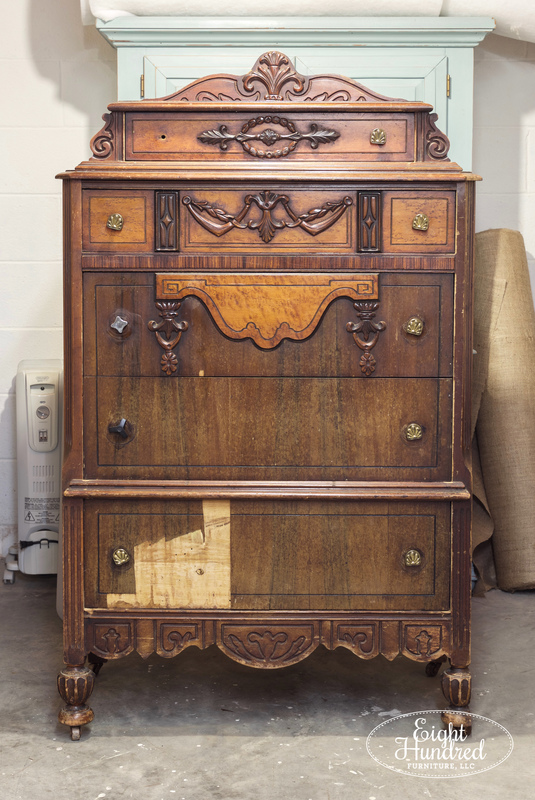 This hutch had a broken pediment at the top. It was the first thing I took off because I really don’t like the look of them on top of furniture. They looks like horns to me! Once the broken pediment was off, the piece had a more modern shape. 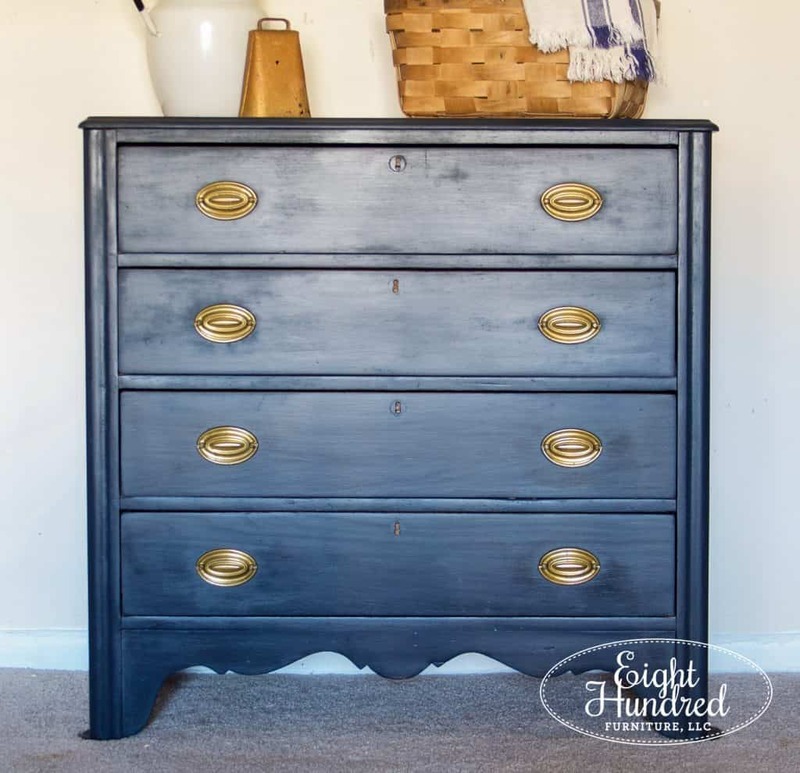 I put on two coats of Coastal Blue Milk Paint and spruced up the interior with some Hemp Oil from Miss Mustard Seed. 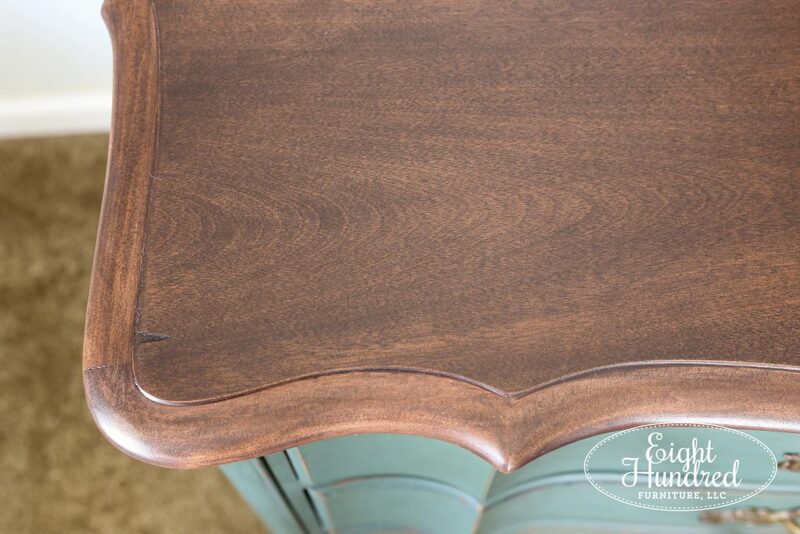 To draw your eye around the piece, I gently sanded all of the edges and trim work to offer some contrast. 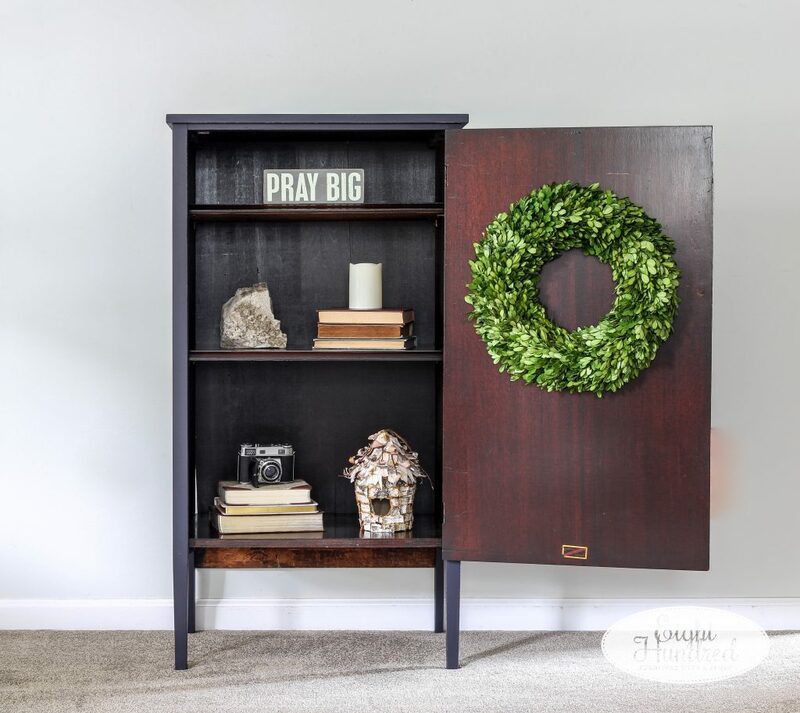 It brought the warmth of the inside wood to the outside and made for a more cohesive look. The handles got a treatment of gold Rub N Buff metallic wax too. And now for my other favorite navy piece. This piece was SUCH a struggle for me. I wasn’t sure what color I wanted to paint it and I literally agonized over it for about a week. 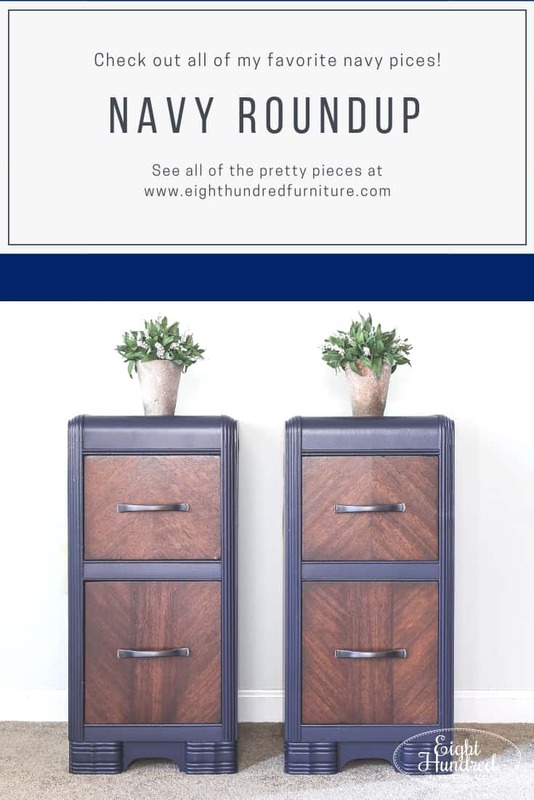 I mentioned at the beginning of this post that navy is my color of choice when I’m unsure which one to pick. Boy am I glad that I went with Coastal Blue! 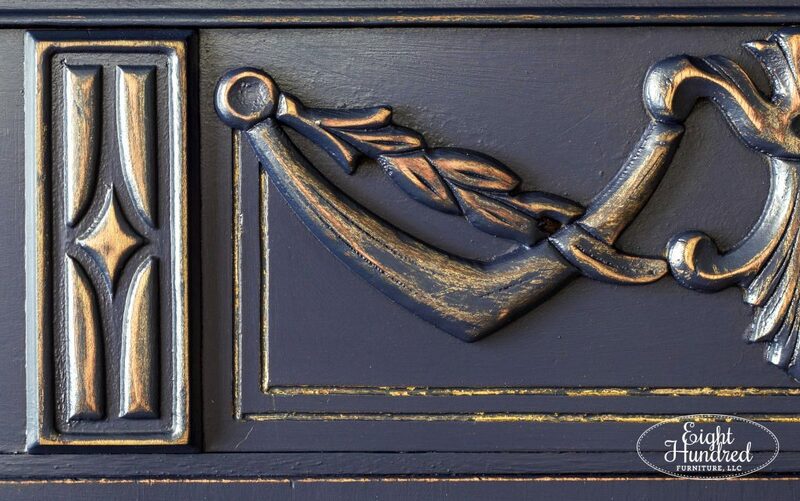 There are so many beautiful details on this piece and it’s a bit ornate. 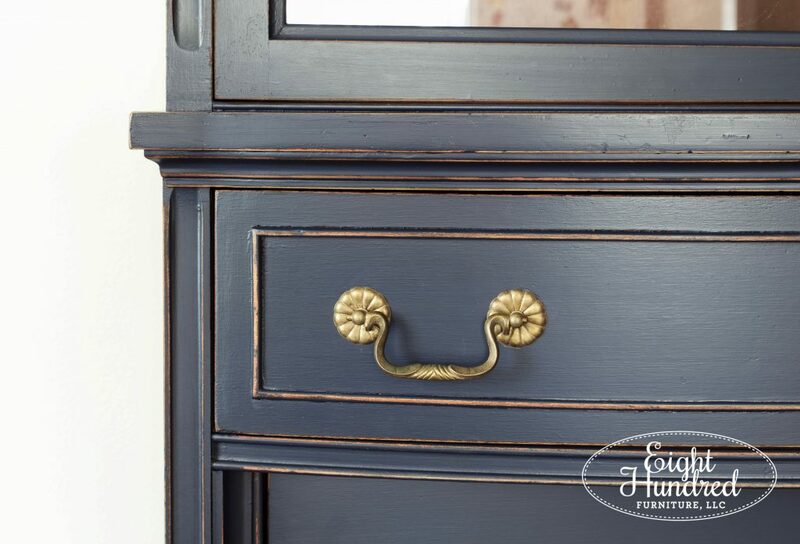 At first, I wanted to highlight all of the trim work and fancy details, so after I had 2 coats of Coastal Blue painted on, I went over all of the details with gold Rub N Buff. 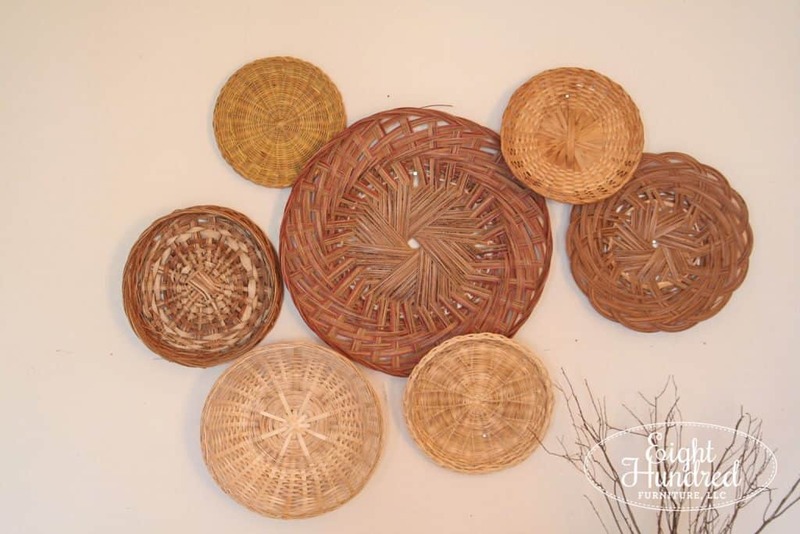 It was painstaking work and when I stepped back, it was way too much. It needed to be toned down so all of its features were easier on the eye. So I painted back over all of the details and then distressed them back. The result was a lovely combination of wood and gold popping through, but it was more subtle. Here’s how it started. 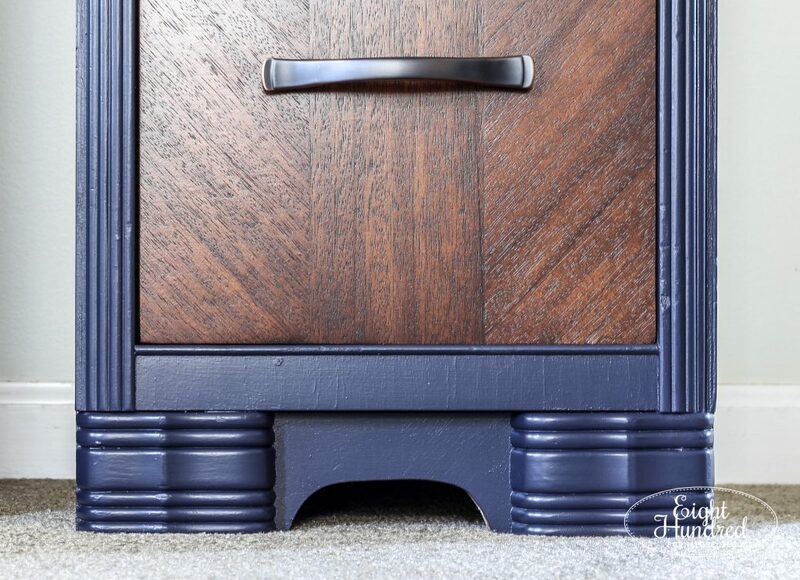 There weren’t any matching knobs and the bottom drawer had severe water damage. To say that this piece was a lot of work is an understatement. It took a lot of effort to get it looking fabulous once more, but it was so worth it. It’s now sitting happily in my booth at Morgantown Market and is available to purchase if you’re interested. 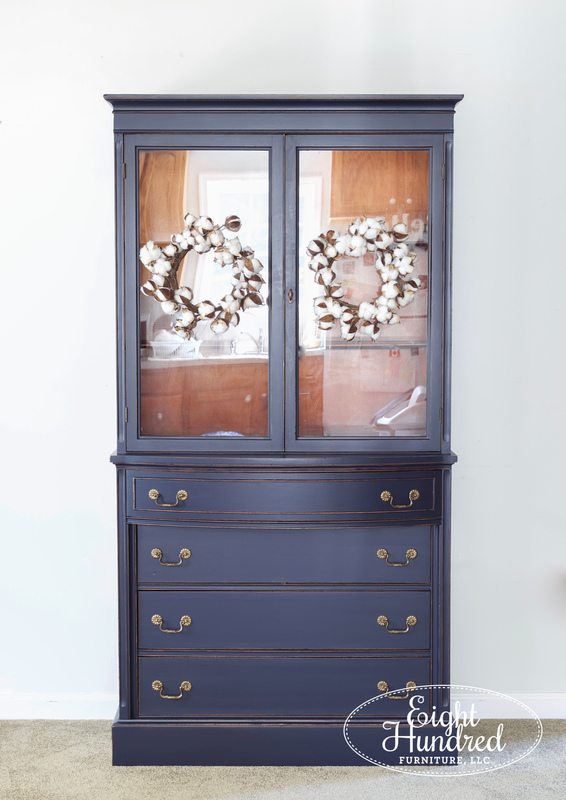 I hope you’ve enjoyed this roundup of beautiful navy pieces. 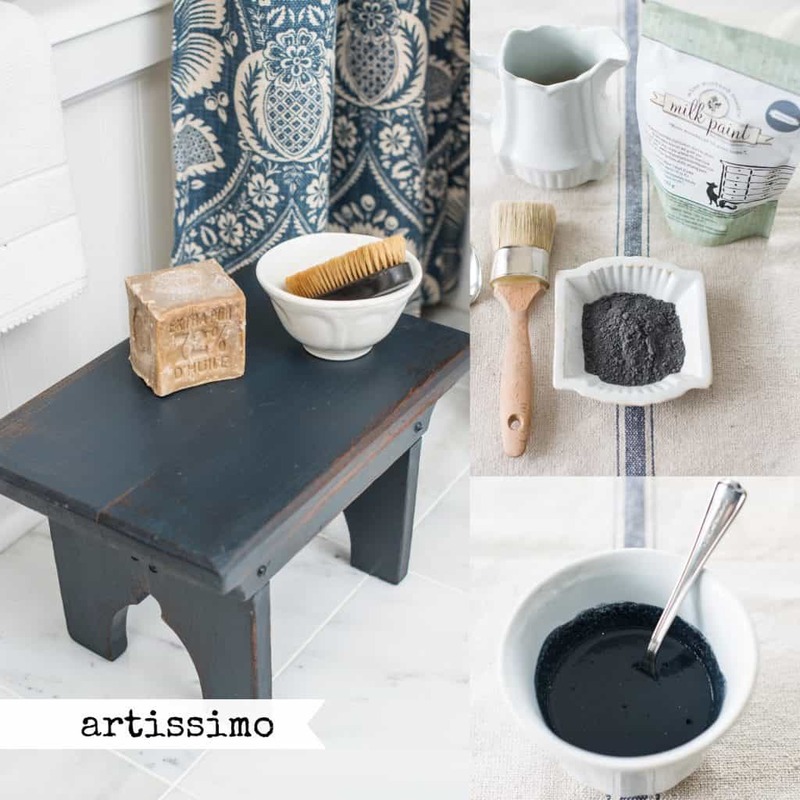 If you’re inspired to go blue now, you can pick up Artissimo and Coastal Blue from my retail spaces atMorgantown Market and Homestead Studios. If you do, let me know and share your navy creation with me!